Do you feel depressed during winter? Some people experience mood swings during the cold winter months. They start to feel depressed as the temperature falls. This is known as Seasonal Affective Disorder (SAD). Approximately 10-20% of Americans suffer from it. Fortunately, there are ways to beat these winter blues. Brighten Your Surroundings: Sometimes winter can be bleak. Days can be gloomy with little sunshine and the length of the day is shorter than during summer. Your body likes light, and likes to feel the warm sun. When that is not possible, a “light box” might work. A light box provides simulated natural outdoor light and has helped many to reduce depression. You should also open your curtains/drapes and let whatever sun there is to shine through. Include Lean Protein in Your Diet: Lean proteins are rich in amino acids which can also help with a positive mood. Some lean protein foods are: white-meat poultry, dairy products, eggs, and beans. Dawn Simulator: A Dawn Simulator, similar to a light box, is a device used to brighten a room as the sun does when it rises in the sky. SAD patients have felt lethargic and depressed as the weather becomes colder and there is less time for the sun; but they have been able to reverse this effect by using a dawn simulator in their bedroom and even connecting it to their alarm clock to simulate the dawning of a new day. Workout Regularly: According to a recent study, a one hour walk three times week or a 30 minute walk five times a week can also increase your mood for the better. Combine the two by working out under bright or even simulated outdoor light and you can get the best of both worlds. This can alleviate your depression and improve your mental health. Listen To Happy Music: Music is an effective mood changer – in both directions. Research has shown, joyful, uplifting music can bring people out of a depressed state. Vacation/Stay-cation: Plan a vacation or have what is called a “stay-cation” (ie. you stay at home and enjoy some free time). Visiting a warmer climate than your own during the winter months and having some time to yourself or with a friend can definitely increase your happy state of mind. Even just the act of planning a vacation can increase your mood. Volunteer: Volunteering to help others in your free time is good for you and those who need help. Happiness is contagious – in a good way. Helping to make someone else happy, automatically increases your mood too. Of course staying healthy is the ultimate goal and will help reduce this Seasonal Affective Disorder. 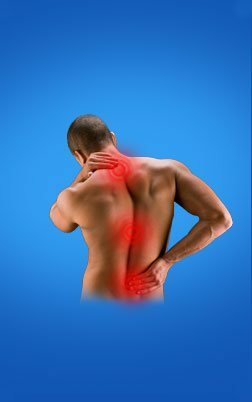 Chiropractic care from experienced Massachusetts chiropractors like the professionals of Central Street Chiropractic can also help keep your body healthy.